Wilmslow Road in Rusholme - commonly known as Manchester’s ‘Curry Mile’ – is famous for having the highest concentration of Asian restaurants in the UK. The first curry house, New Taj Mahal Restaurant appeared there around 1959 and was quickly followed by many more throughout the 1960’s. The area became a focal point for the influx of Asian immigrants, primarily Indian and Pakistani. Rusholme Chippy was one of the first to sell traditional Persian Kobeda kebabs. The decor hasn’t changed much over the past 20 years but it’s worth overlooking, as neither has the quality of the kebabs. Al Jazeera may look like an unassuming, even dodgy takeaway from the outside but don’t let that put you off. They’re serving some of the best kebabs in town, fresh, flavoursome and an absolute bargain. It’s a similar story at Atlas - possibly the smallest takeaway you’ll ever see - whose chicken shawarma is excellent in both quality and value. For dessert there’s Moonlight, an ice-cream parlour with a wide range of homemade ice cream and sundaes. Or Pastry House, a Lebanese bakery who as well as an extensive savoury menu that includes flatbreads and koftas make some fabulous sweet pastries. The baklava is particularly good. Despite the uptake in Middle Eastern cuisine, Indian and Pakistani food still dominates the Curry Mile and there are no shortages of places to eat. 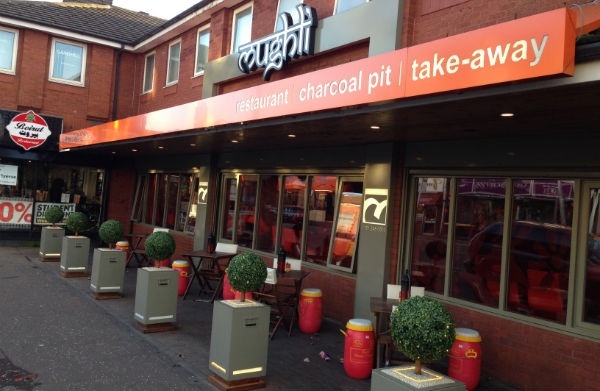 The most popular by far is Mughli who are going from strength to strength. With outstanding reviews and a growing celebrity fan base (Will.i.am being the latest, joining the likes of Eddie Izzard, Jared Leto and even the Prime Minister, David Cameron!). 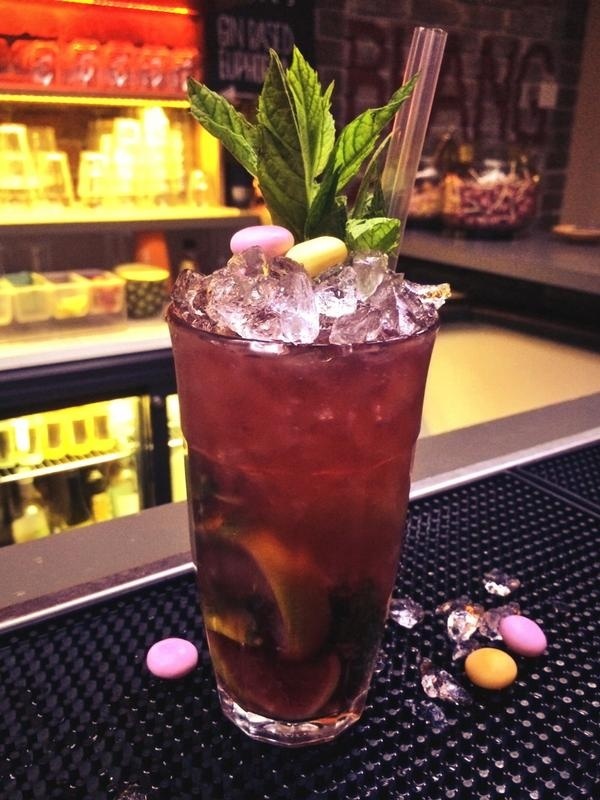 They have a cocktail named the ‘Curry Mile’, a gin based concoction made with Vimto and Mentos. Inspired by the long-standing Rusholme tradition of offering Vimto lollies and Mentos with the bill. Across the road, Ziya offers a totally different atmosphere, though their Indian fine dining and glitzy décor may be more suited to the city centre than the Curry Mile. One of the longest standing businesses is Delhi Sweet Centre, a family run sweet shop. They sell a variety of traditional Pakistani sweets including nutty ‘Moti Choor Ladoo’ and their speciality ‘Jalebi’, a sweet fried dough. For Indian snacks Anand’s Indian Deli is a must, most are made in-house and you can also buy imported Indian drinks ThumsUP, Limca and Maaza. 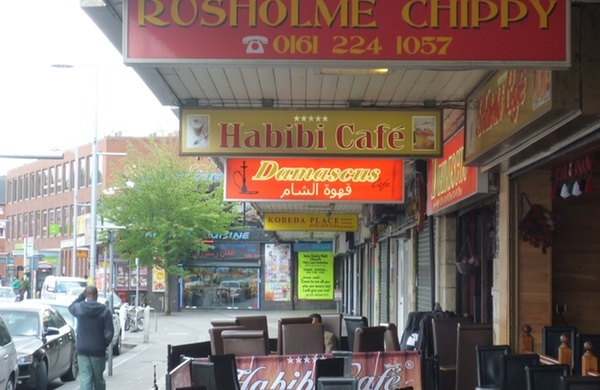 Of course, Rusholme isn’t entirely ethnic; there are several traditional British pubs catering to the nearby University students and there’s Uncle B’s, a good old-fashioned fish and chip shop if you fancy something a little less exotic. Browse our deals for Indian restaurants in Manchester.